Food Roots, a community food system organization serving the north coast of Oregon, is seeking a Farm to School Coordinator. This position ranges from 25-30 hours weekly, and is grant funded through September, 2017, with the intent for annual continuation and future funding by grants. Partner with community organizations, schools, leaders, to strengthen student and family engagement in healthy food awareness, consumption and local agriculture engagement. Visit the Food Roots Job Opportunities page for a full position description and application instructions. CLOSING DATE: This position is open until filled, to start ASAP. Sherwood School District has announced an immediate opening for a Food Service Manager at Archer Glen Elementary School. The successful applicant will direct the operations of the school kitchen with assistance from the Director of Nutrition and Food Services. The Food Service Manager is responsible for day-to-day performance of tasks required to provide a food service programs to a school population, including providing assistance in schools to plan, prepare and serve nutritious meals to students and staff in a sanitary, efficient and friendly environment. 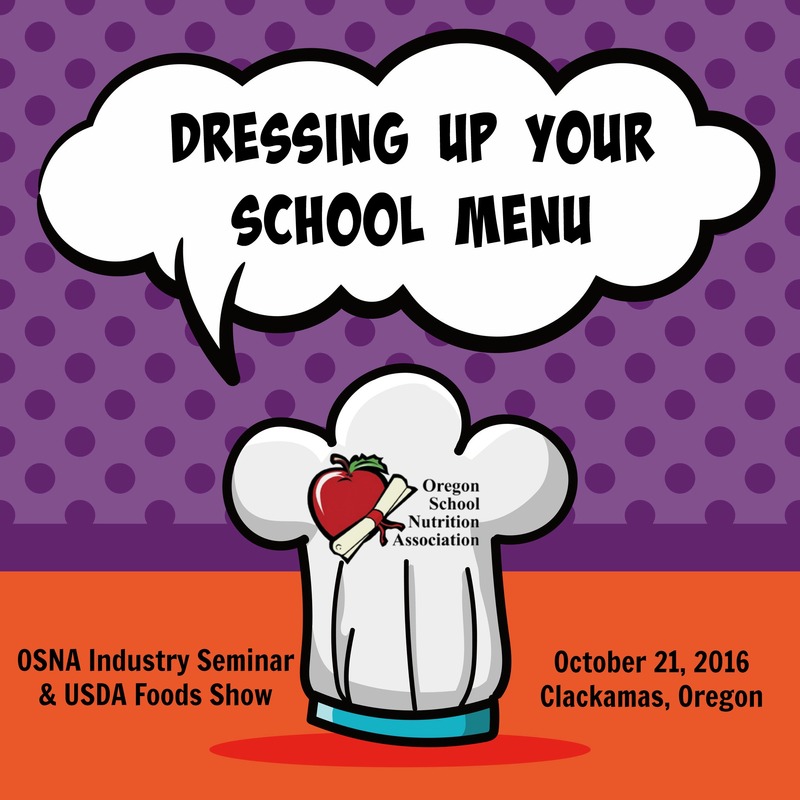 Registration is now open for the 2016 OSNA Annual Industry Seminar & USDA Foods Show. This year’s fun-filled educational event will be held on Friday, October 21 at the Camp Withycombe Armory/Event Center in Clackamas. Please visit the Annual Industry Seminar page for preliminary program, registration and hotel information. Hope to see you there! 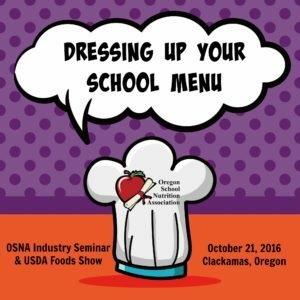 Get the latest scoop on OSNA activities and events! 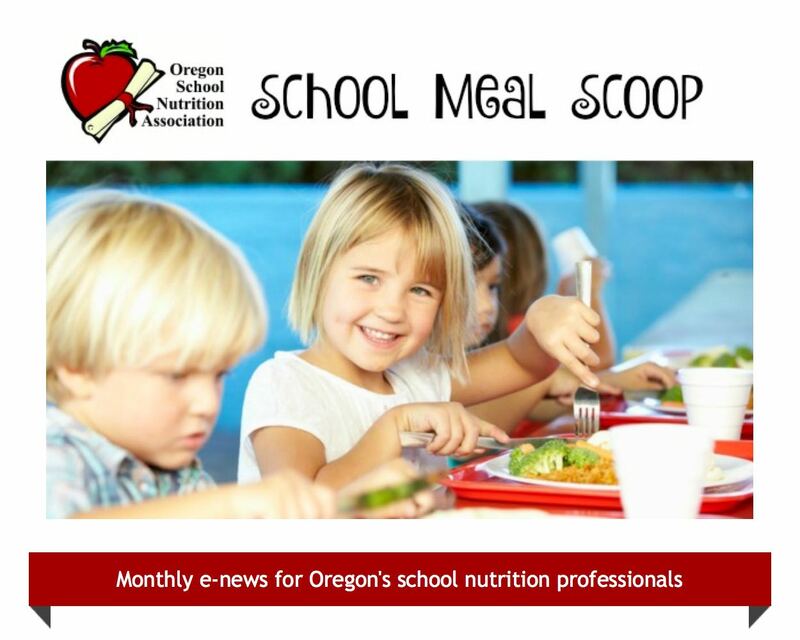 Read all about it in the September 2016 issue of OSNA’s e-newsletter, School Meal Scoop! As part of Let’s Do Breakfast, Oregon! campaign, Partners for a Hunger-Free Oregon, Oregon Dairy and Nutrition Council and Oregon Department of Education Child Nutrition Programs are excited to announce the second annual 2016 November School Challenge. Schools are encouraged to enroll to celebrate school breakfast, boost student participation and win cool prizes! Register this month between Sept. 1-30 and participate during the month of November! Get details, enrollment information and the official toolkit online at https://oregonhunger.org/breakfast-challenge.